This is a sponsored post. The Flavor Run has compensated me with a complimentary registration in exchange for my review, as well as additional registrations to use for the purposes of a giveaway. All opinions are my own. There is a new run coming to town: The Flavor Run 5K. I ran my very first color run a couple of months ago, and, much to my surprise, I loved it. 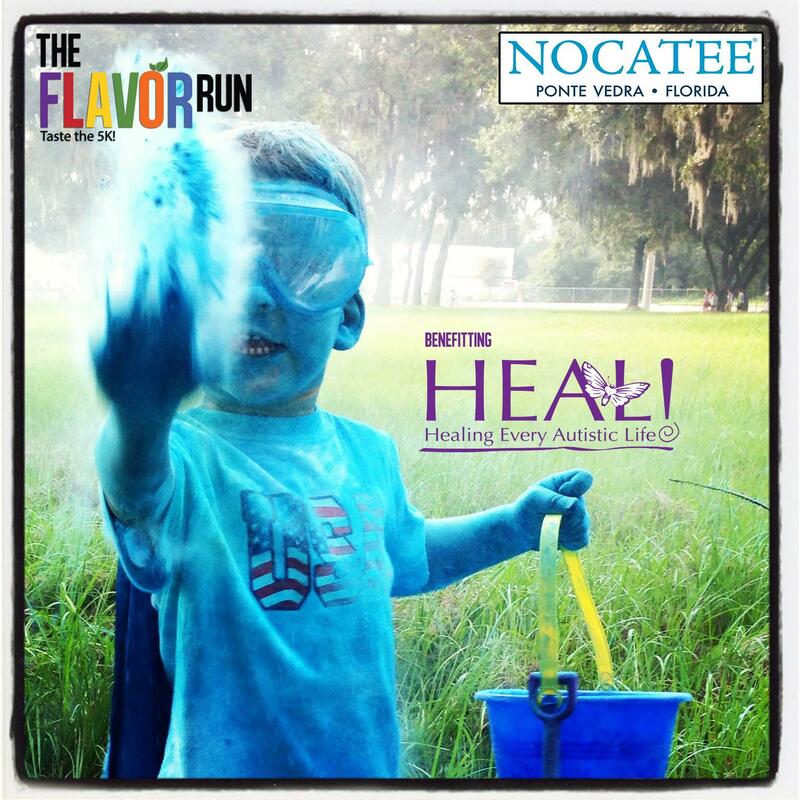 The Flavor Run promises to build on the concept of the traditional color run by adding another facet – actually flavoring the colored cornstarch used to douse the participants at the different color stations. Participants will find themselves covered in the bright hues of blueberry, strawberry, watermelon, grape, banana, and orange. I really love these kind of events and I’m excited to try this one out. For me, fun runs break up the monotony and pressure of training. I also see them as ways to encourage new runners, non-runners, families and groups to try out the sport, or get together for a healthy and enjoyable activity. All wins in my book. 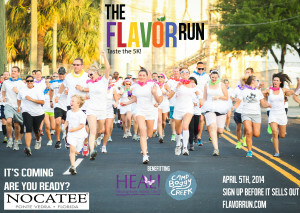 While you can certainly race the 3.1 miles of The Flavor Run, you can also jog, walk, skip or dance to the finish line. Wheelchairs and strollers are welcomed. Participate alone, with a team or with the kids. Anything goes, as long as you’re moving. After you’ve hit all the flavor stations, you can party in the Post-Run Flavor Zone. There, you’ll be able to enjoy fresh fruit, live entertainment, kid’s activities and vendors. It sounds like a great way to cool down after a morning of fun, and I’m looking forward to see what will be offered. The Flavor Run 5K will be held on April 5, 2014, in the town of Nocatee. 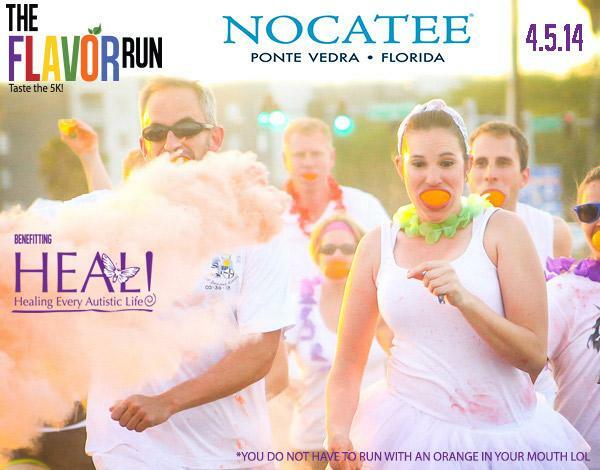 I have yet to run a race in the Ponte Vedra area, so I’m looking forward to the new scenery, in addition to the fun, flavored twist on the traditional color run. Want to join me? Simply enter below. I’ll let random.org help me pick a winner when the giveaway ends on Feburary 7 at midnight, and announce it on Saturday. Pingback: in which i start over. sort of. Can’t wait to try strawberry! This would be a fun way to ease into an actual race.